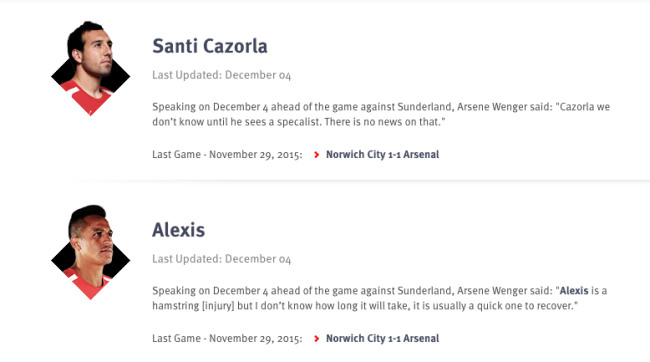 The media loves to talk up an injury – and few places in football do injuries with more regularity than Arsenal. The Gunners’ midfielder Santi Cazorla is now injured. We have not been told how badly. The paper fails to add “possibly”.